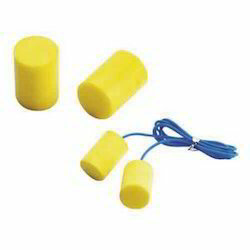 We are pioneers in offering a commendable range of Ear Plug to our valued patrons. Available with us in variety of designs and colors, this range is accredited for its noise free attenuation that offers the wearer a comfortable effect. Manufactured by making use of leather and foam at the vendors base, this range is quality tested under the guidelines set by industrial experts who also make sure to attain maximum level of patron satisfaction. 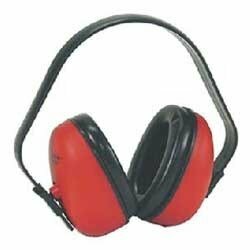 Offering a dynamic range, we present Ear Muff that is fabricated as per the patrons needs and requirements. Being a quality firm, we aim to offer the most efficient range that helps to filter out hazardous noise that might hurt the ear. In addition to this, our range offers an unbreakable head bend that is designed to fit any ear size. Besides, this range is quality tested as per the industry laid parameters to avoid any chance of inconvenience. Besides, this range can be availed from us at competitive prices. Looking for Ear Safety Products ?